We’re constantly striving to make the most out of our workday, but that doesn’t always mean working extra hours. If you find ways to boost your productivity, you work smarter instead of longer and harder. There are many small factors that influence productivity, from your work environment to your break habits. Did you know that the presence of plants has been found to increase worker productivity up to 15% or that taking a break to look at cute pictures can increase concentration tasks by 44%? To help you find new ways to increase your productivity, GetVoIP put together this infographic that shares 19 productivity hacks. If you’re struggling to focus, try out one or more of these tips! 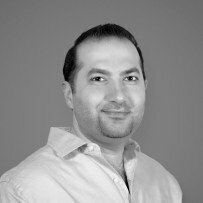 Reuben Yonatan is the founder of GetVoIP, a leading VoIP provider comparison resource. As an entrepreneur and tech enthusiast, Reuben’s expertise is in helping small to mid-size business owners build, maintain, and scale their communication infrastructure. More information on VoIP solutions, applications, and GetVoIP’s blog can be found at getvoip.com. Firstly, the world use metric system, so please also show the temperature in Celsius. Secondly, you assume everyone lives in temperate climate zone. I live in tropical zone. To achieve 25 Celsius degree (77 F), I have to do the opposite of your advise i.e. switch on the AC. Otherwise, I enjoy reading this.